When boxes aren’t bought ‘off the shelf’ they are often made because there is a space that needs filling and a custom box needs making to fill it. I have gathered a few different pictures of box planters, tapered planters and some alternatives to give you some ideas for simple solutions to specific needs. This design of this urban landscape uses the slope and width of the pavement to bring some life to an otherwise empty space. 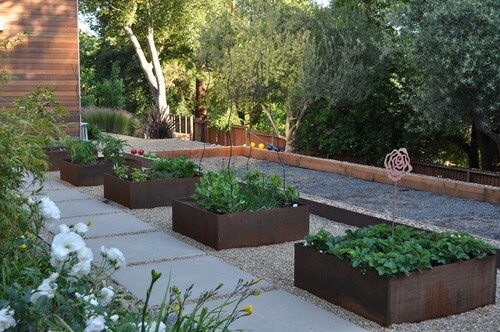 The corten steel, stepped planters jut out of the ground and host a variety of grasses and flowering plants. Though they are new, in time they will have a rusty orange façade and blend into the environment. 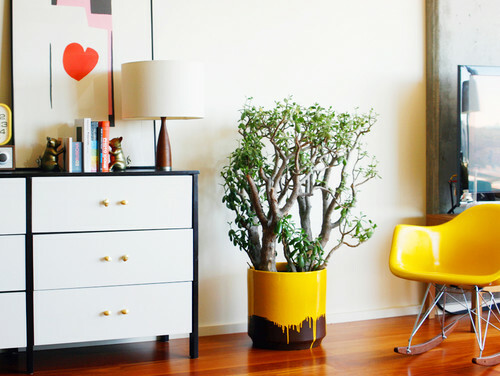 Though not a box it did make me think that you could very easily make a simple box planter into something more interesting by dipping it in paint and letting it run like this. 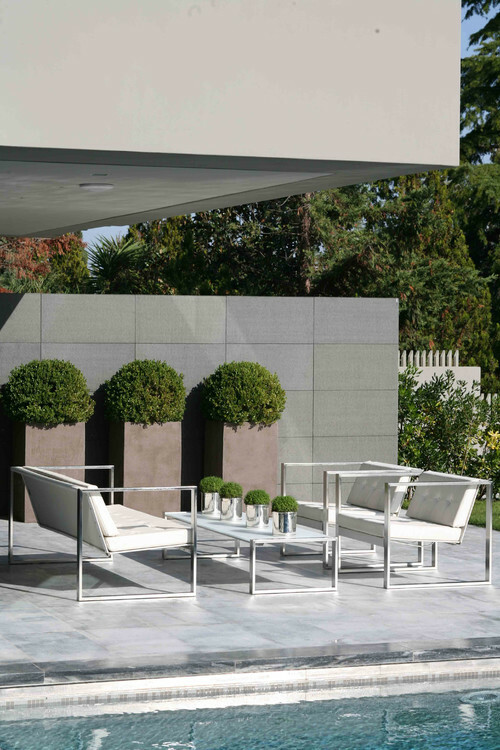 The process would allow you to create a planter that colour matched you planting or general garden design. 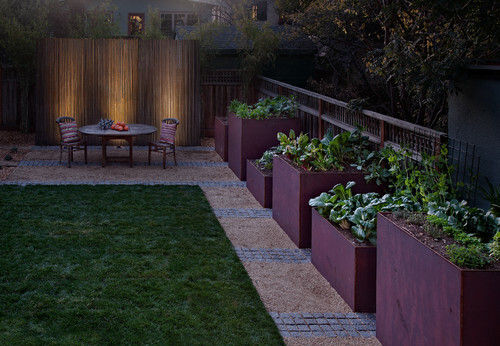 Again using the idea of corten boxes but this time in a residential property, the design has used the space for cultivating vegetables. This is becoming increasingly common with the public’s realisation that we can produce food that we know the history behind ourselves and the beauty of some edible plants. Backing up my previous comment these planters have a purple hue to them which compliments some of the edilble leaves within them. The result is a wonderfully colour coordinated but practical and useful border design that the owners can make the most of. 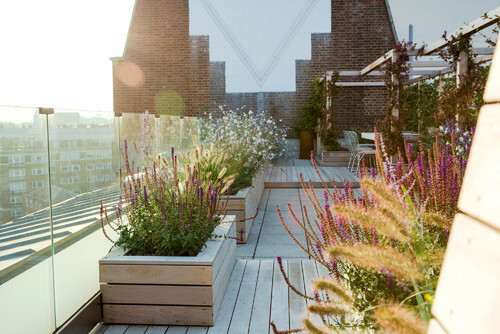 Whilst this sort of planting is more common in domestic situations there is no reason why such colour coordination and practicality can’t be implemented into commercial spaces. A very simple and elegant planting solution with repeat buxus hedges along the wall being coordinated with mini buxus on the table. The straight lines are a strong feature of this design with the furniture also jumping in on the visual and offering up more squares but less weight. We don’t see so much terracotta these days as the abundance of it in local garden centres has driven the price and feel down. Certainly that is the case in the northern European countries anyway but they are more popular in hotter, southern regions where they have more traditional designs. We tend not to see so many box terracotta pots not only because of fashion but the ease of production is harder the larger they get. 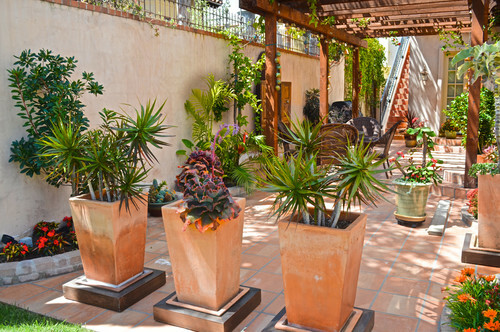 Wooden planters are a great way to warm up what can often be a cold product. Wood can be very durable if treated well but will fade and distort over time as it is exposed to the elements which is why we see them most often in residential premises. The solution these days can be some great porcelain tile products that look very close to wood but the durability characteristics are far superior. This isn’t the first time I have seen such creativity with garden planters. 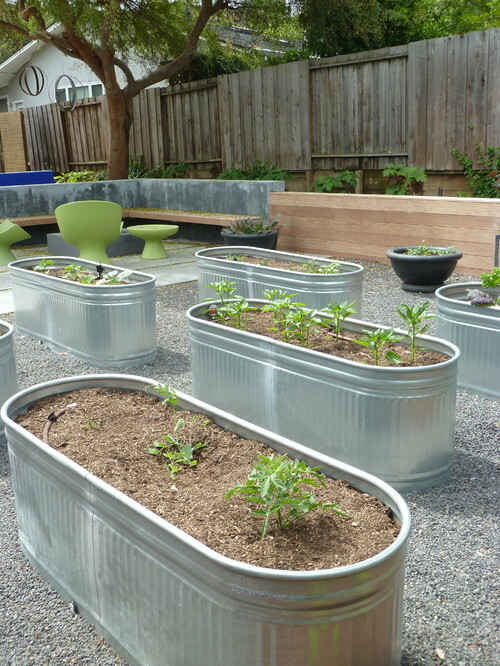 This standard sheet metal gives a great opportunity to create cheap, large planters that are a little different and that age and patina over time into the environment. From the more natural we step to the very formal. 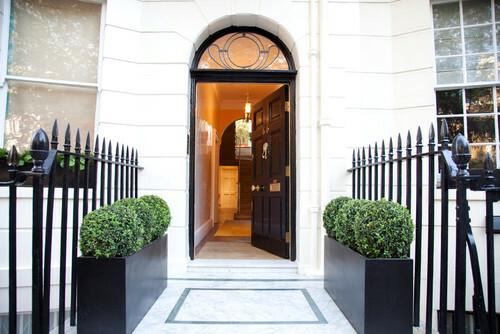 Black box planters with buxus bushes inside, lining the entrance to a, no doubt, very expensive London home. Some find this look boring and I can see why but I like it none the less. It isn’t the most imaginative but it does look very stylish. 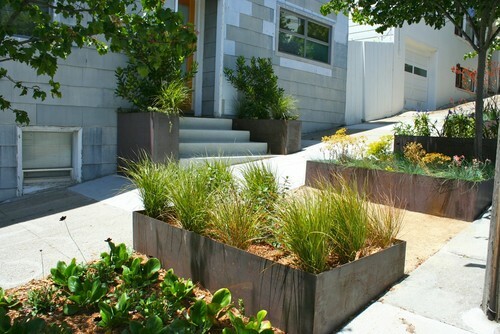 Although these are just box wooden planters there is a touch above. I love the warmer orange of the wood though sadly this always fades quickly in the sunlight but the planters come standing on small metal legs and the uplit trees and matching wooden cladding that runs around the outside really sets the scene off well, tying it all together so it is one coherent design.